With Valentine’s Day coming up, it’s fair to say that love is in the air! And, as we pointed out in our last blog, many couples across Canada will be showing their love through the giving of gift cards to their partners. Your business deserves a little special affection of its own too, don’t you think? As a business owner, Valentine’s Day is year round…so to speak. To be clear, it’s your job to get your customers to show you love each and every day. To do that, however, it’s important to remember that the relationships you have with your customers are just like all others – they are two way streets. You’re not likely to come across any relationship therapist who doesn’t highlight the importance of trust in a relationship. In fact, most people place trust at the top of the list of most important things needed for a successful relationship. Be honest with your customers. This is especially crucial when you make a mistake. Owning up to your follies can actually go a long way in establishing loyal patronage for the long haul. 2. Regularly show your gratitude. As we mentioned in our last blog, Valentine’s Day is a day for lovebirds, but it’s certainly not the only day of the year that couples express their love for each other. Imagine how long relationships would last if people showed their gratitude for their partners only once a year. Be sure to make it a point to express your appreciation of your customers on a regular basis. It will work wonders in the world of securing customer satisfaction. 3. Shower them with gifts. 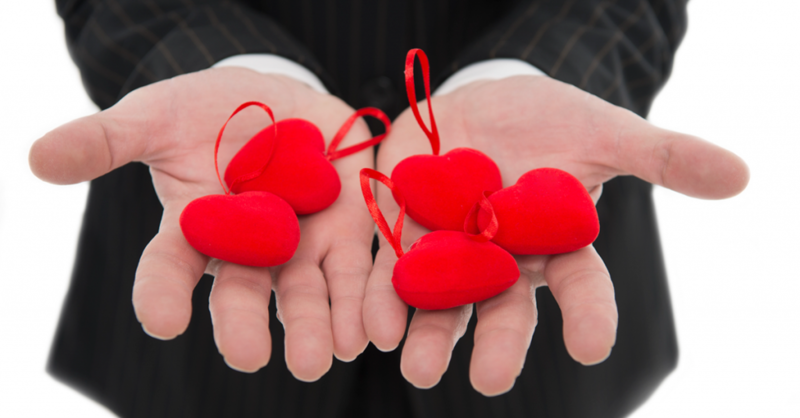 Just like the annual Valentine’s Day tradition of gift-giving, your step for making shoppers fall in love with your business should involve some generosity of your own. Of course, you don’t have to “shower” your customers with literal gifts. But offering a little something extra to each customer interaction will significantly boost the impressions people have of your brand. Do you have gift cards to offer your shoppers? For information about the electronic gift cards offered by Canadian POS, please don’t hesitate to call us at 1-877-748-2884 or email us at info@cdnpos.com.